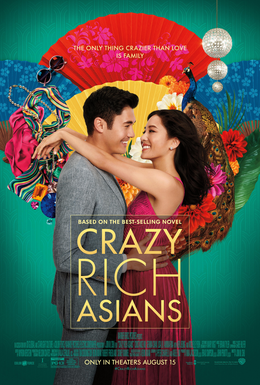 Please join MotivAsians on the opening weekend of "Crazy Rich Asians". This is a romantic comedy/drama based on the book by Kevin Kwan. This is the first time in 25 years that a major Hollywood studio has released a film with Asian lead roles. Woohoo! Let's show our support for Asian actors in Hollywood! Storyline: What happens when a girlfriend accompanies her boyfriend to visit his family in Singapore for the first time? We will purchase the tickets at one time prior to the event so we may sit together. Otherwise, you are welcome to join us there and sit apart. Let's meet inside the lobby or at the front entrance if they don't allow us to enter without tickets at 6:15 PM. Depending on how people feel after the movie, we may stop and get coffee or a drink afterwards. Hope to see you there.